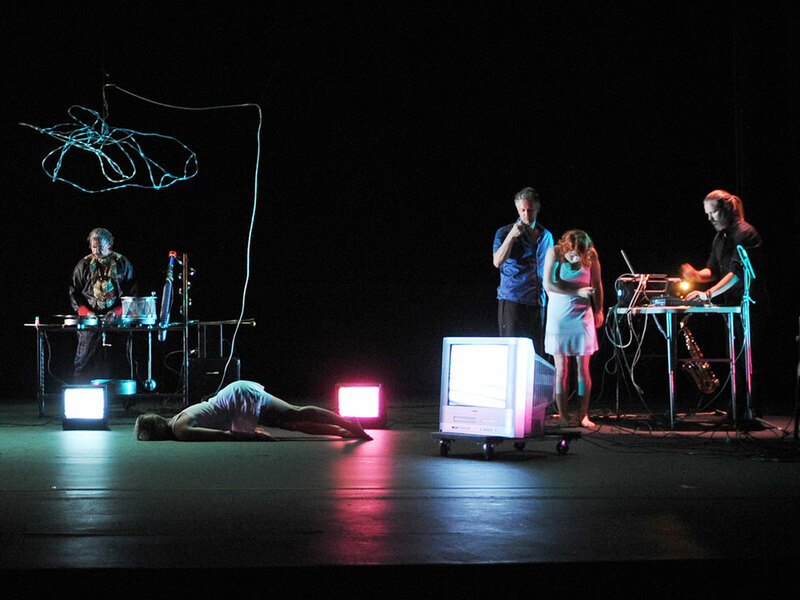 Stramonium is a performance consisting of dance, an analog image processor, two computers, sonic sculptures, and woodwinds. The work is inspired by notions of perception, reality, and truth at the convergence of the digital, analog, and organic worlds. In this work, analog and digital instruments, processes, and movement, co-mingle in an integrated system – a system that occasionally lashes out at one another, but ultimately seeks equilibrium. 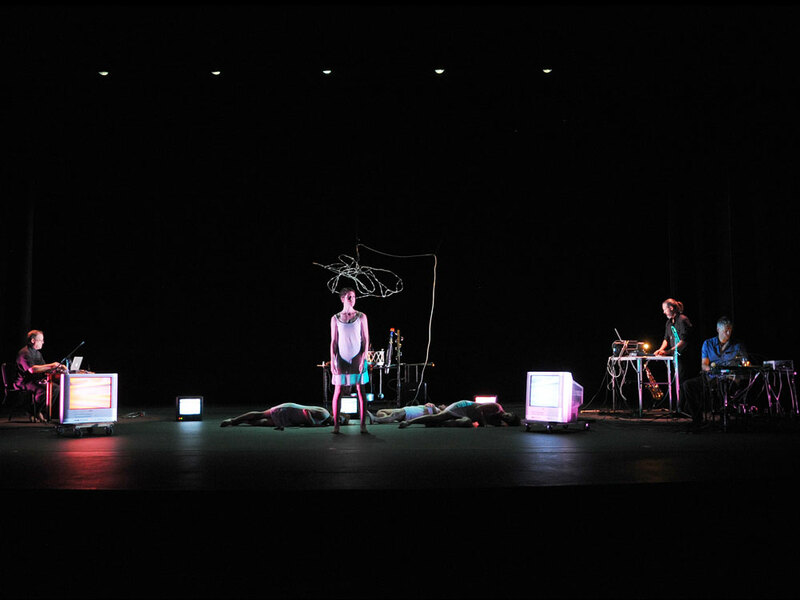 A collaboration between Phoenix (AZ) performance ensemble DATURA and dance group JAMovement. 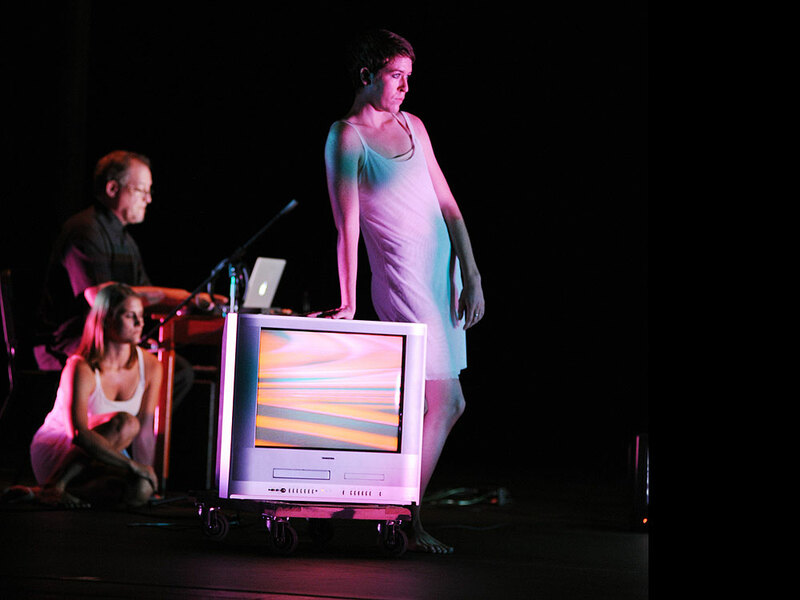 Datura is a media performance ensemble dedicated to using a blend of digital and analog instruments and processes in improvisational settings. J.A.M. aims to create versatile environments where the audience and performers can be vulnerable in a shared exploration of an evolving space. Every performance results in the creation and acceptance of individuals by allowing participants to express their desires and determine the final outcomes of the performance.